What to do with dark, baggy circles under eyes and fine lines? Let’s start with fine lines, moisturize with a good quality eye cream. Application: apply cream with ring finger, work cream gently from outer corner in circular motion towards the nose and over over eye lid. Always gentle when working around the eyes. Well worth the money investing in a great quality eye cream! Dark circles…definitely not enough sleep contributes to it. But did you know certain nationalities dark circles are heredity? Asians, Middle Easterns, Italians and darker skin complexions because low iron count usually contributes to dark under eye circles. Have your iron count checked. Under eye bags…sometimes certain medications cause fluid built up, kidneys not functioning at optimal level, traveling, dehydration, all of that may contribute to bags under the eyes. Solution: use eye cream while performing lymph drainage during a facial will aide in removing fluids and re-hydrate the orbital area. As always, esthetics is my passion, I love to share my expertise with you all! Aromatherapy is extracted oils from flowers, seeds, barks, roots and herbs. While there is not enough evidence to support its effectiveness in preventing illness, but there are clinical studies found to be an effective complimentary therapy to: anxiety reduction, lessens depression and headaches, while others increase energy and healing, boast immunity, improve digestion, aides to more restful sleep pattern and even increase circulation. Facials – ashwagandha is spicy and woodsy scent, often used to rejuvenate skin and diminish dark circles under the eye. “A staple of Ayurvedic medicine, this oil is prized as an adaptogen and is traditionally used to help increase the body’s resistance to stress,” says Barbara Close, founder and CEO of Naturopathica. Clary sage, neem, thyme, cucumber, juniper and rosemary is ideal for combination, oily and blemished skin. They help to purify skin, reduces oil production and tightens enlarged pores and rebalances the skin. Rose oil softens, hydrates and soothe the skin, while frankincense provides relief to stressed skin. Lavender, petitgrain, ylang ylang, bergamot is highly popular for spa professionals as it is used to calm and relax the mind and body. Grapefruit, lemon, vitamin c and licorice root are natural skin brighteners. These are just a fraction of essential oil blended into skin care products. Massage – basil helps to soothe and calm, hyssop is healing and soothing, immortelle repairs scar tissue. Kanuka is anti-bacterial, anti-fungal and anti-inflammatory, relieve muscle pain and swelling, making it an excellent ingredient in massage oil for sports massage. Inhalation – eucalyptus oil is widely popular to clear upper respiratory congestion. Grapefruit, bergamot, ylang ylang, lemon, peppermint is often used as an uplift that energizes the mind and body. Melaleuca and rosemary is healing and stimulating, clear foggy thoughts, aid in concentration. Vetiver is earthy and the smoky scent helps with grounding and promote relaxation. 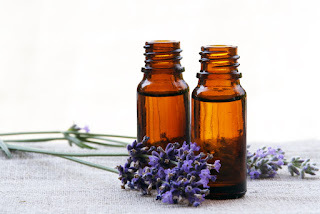 There are multiple methods to inhale these wonderful essential oils, using in a diffuser or burner allowing the scent to fill the entire room is widely popular, adding it to steamer during a facial treatment or adding couple drops to a cotton ball, hold it few inches away from your nose and breathe deeply. Soaking – adding couple drops to a nice warm bath soak is an effective use of essential oils, not only will the warm vapors absorb into your skin to relax you, the oils will make your skin silky smooth. Proper care should always be taken. Essential oils are highly concentrated so when apply directly to skin may cause burning, stinging or allergic reactions, while others may react with certain medications, or shouldn’t used with certain health conditions. Due to high concentrated levels of essential oils, they MUST be diluted with carrier oils such as: almond, jojoba, flaxseed, safflower, apricot, borage, cranberry, evening primrose, hazelnut, hempseed, coconut, avocado, vegetable, grapeseed or olive oil. Avoid mineral oil and petroleum jelly, as they are byproducts of petroleum, therefore, is not natural rather more harmful. Mineral oil is used in baby oil and lotions because it is inexpensive to product, however will clog pores, prevent skin’s ability to breathe naturally, prevent essential oil absorption and toxins from excreting the body through sweating. The rule of thumb for mixing: 1 drop of essential oil to 1 teaspoon of your favorite carrier oil. Always store your mixture in a sterilized glass bottle. Mix your oils with fine sea salt for body scrub, or couple drops in distilled water to use as toner or room freshener, add your scented water mixture to old flannel sheet as a fabric softener in your dryer, or add a few drops to unscented lotion! Unlimited of uses with aromatherapy! What are your favorite scents? Be creative! As always, if you like it, share it!